I hope everyone enjoyed posts about Colombian life and culture, but now that I am back in the United States – we will get back to our more serious discussions about patient safety and issues in health care. One of the things we have talked a lot about in the past – and cover extensively in the Hidden Gem book series is operating room quality and safety measures. This includes using objective measurement tools such as the Surgical Apgar score (created by physician and author, Dr. Atul Gawande) and the safety checklist. These checklists were designed to be similar to the mandatory checklists used by pilots. They were originally designed in the 1930’s to prevent pilot errors and accidents as planes become more and more complex. These tools do more than just rate (or grade) operating room safety procedures – they encourage a ‘culture of safety’ and adherence to practices and procedures designed to prevent errors or mistakes. This means that the more people use (and become familiar with) these practices – the better they get at detecting and preventing errors. The importance of these checklists has been recognized for years, but is just now gaining in traction. It wasn’t until 2009, that the World Health Organization recommended use of the checklist in hospitals internationally. American hospitals now use the checklist religiously because ‘core measures’ – and reimbursement are tied to its use. These ‘core measures’ were established a decade ago as part of quality assurance procedures for Medicare and Medicaid. American hospitals that do not participate (or score poorly) on core measures such as surgical safety procedures – risk not getting paid for their services. (There are core measures for other patient care items as well, such as the care of patients having a heart attack, or pneumonia). The surgical apgar score, (and similar scales) have been slower to catch on. This is unfortunate in my opinion, because this tool has the greatest chance of really improving patient care and preventing patient harm. The surgical apgar score works by basically rating and grading the actual care of the patient in the operating room. When consumers think about patient care in the operating room – we tend to focus on the surgeon. But surgery and surgical skill are only a part of the picture. The anesthesiologist/ nurse anesthestist and anesthesia care team are critical to the safety and health of the patient – and their inattention / or distraction can be disasterous for patients. But even when disaster is averted – frequent distractions can lead to increased complications. Sometimes the effects are subtle; such as twenty or thirty minutes of ‘borderline’ low blood pressure and post-operative organ dysfunction from intra-operative ischemia. But is anyone paying attention? We all know it happens, but too many anesthesiologists are busy playing on Facebook to address the realities of the situation. None of this is news to long-time readers, but several new articles confirm the utility of safety checklists and operating room safety practices. (One of the articles somewhat ironically reports that injuries to patients were not as reduced as anticipated by previous studies – because the checklist was not always used / or used correctly. The authors note that the checklists reduced patient injuries and complications – when they were actually used. Reputation, Ranking and Objective measures – talking about the ‘core measures’. More about the surgical apgar score – from our sister site. I will be updating this section frequently over the next few days. Hilt, Emma, (2012). Surgical checklist from WHO improves safety and outcomes. Medscape, November 2012. Fudickar, A., Horle, K., Wiltfang, J. & Bein, B. (2012). The effect of the WHO surgical checklist on complication rate and communication. Dtsch. Artztebl Int 2012, 109(42): 695-701. The authors of this German paper examined / analyzed 20 different studies looking at the use of surgical checklists. Jorm CM, O’Sullivan G. (2012). 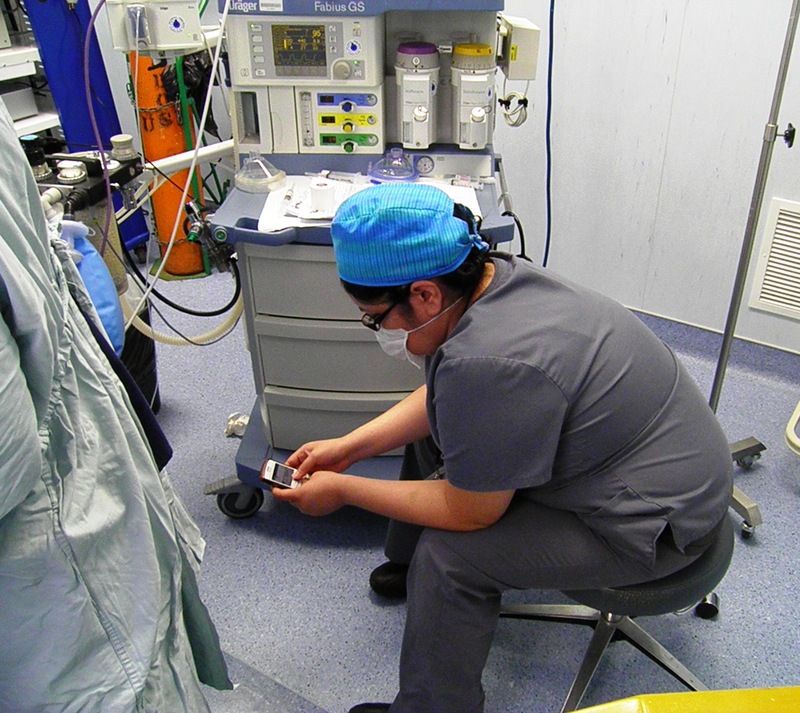 Laptops and smartphones in the operating theatre – how does our knowledge of vigilance, multi-tasking and anaesthetist performance help us in our approach to this new distraction? 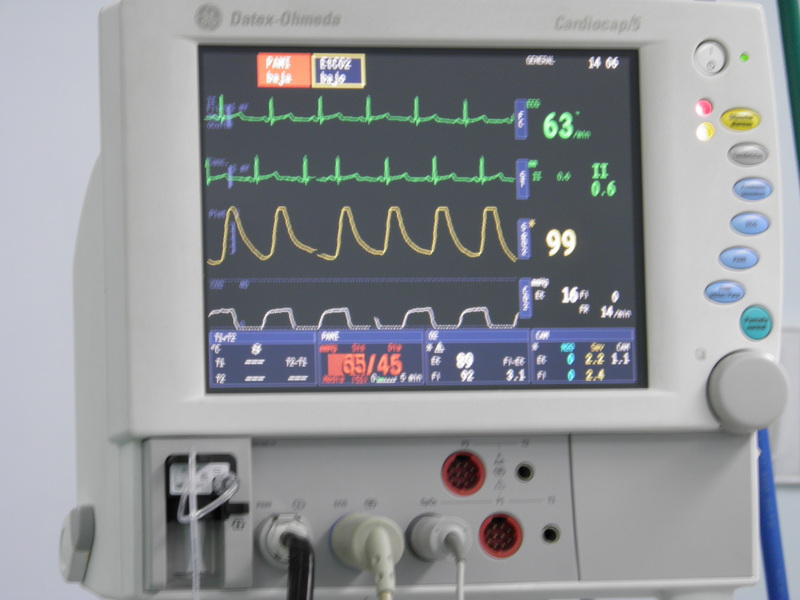 Anaesth Intensive Care. 2012 Jan;40(1):71-8. Patterson P. (2012). Smartphones, tablets in the OR: with benefits come distractions. OR Manager. 2012 Apr;28(4):1, 6-8, 10. [no free full text available]. Pereira, Bruno Monteiro Tavares et al. Interruptions and distractions in the trauma operating room: understanding the threat of human error. Rev. Col. Bras. Cir. [online]. 2011, vol.38, n.5 [cited 2012-12-18], pp. 292-298 . This entry was posted in Quality Control/ Medical Standards and tagged anesthesia safety, Atul Gawande, patient safety, reducing surgical complications, surgical apgar score, surgical checklists. Bookmark the permalink.